Last weekend, Kevin Hart and Bryan Cranston pulled a surprise upset and dethroned Aquaman for the top spot at the box office with The Upside. But that movie’s time on top will be very short-lived, as M. Night Shyamalan’s highly-anticipated Glass makes its way to theaters, and it looks to have a near-record during the Martin Luther King Jr. Day extended holiday weekend. 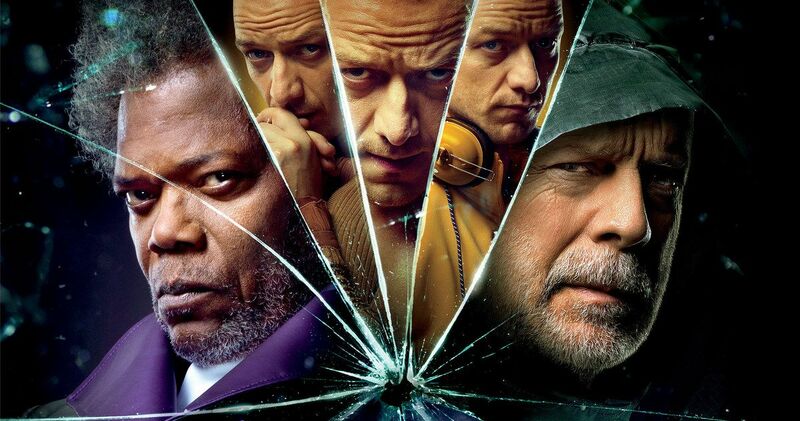 Glass, which serves as a sequel to both 2000’s Unbreakable and 2017’s Split, comes with a lot of star power in the form of Samuel L. Jackson, Bruce Willis, James McAvoy, Sarah Paulson and Anya Taylor-Joy. It also is a sequel many have been waiting years to see. Unfortunately, critics, thus far, have not been terribly kind to M. Night Shyamalan’s latest, with the movie currently boasting a 35 percent approval rating on Rotten Tomatoes. Despite that, Glass looks to bring in as much as $70 million over the four-day weekend. That would put it behind only Clint Eastwood’s American Sniper ($107.2 million) for an MLK weekend best at the box office. What will be worth watching is how the audience reacts to Glass. As we’ve seen in recent years, sometimes critics and moviegoers simply disagree. Venom perhaps being the best example. If audiences agree with the critics on this one, we could see a very steep drop off next weekend. If not, Shyamalan will have cemented one of the greatest comebacks for a director in history. The Upside should do reasonably well in its second weekend, good enough for second place. Albeit a distant second, with around $15 million, give or take. But this movie has already surpassed expectations and should prove to be a decent earner for STX. Aquaman looks to take the number three spot, adding to its already unbelievable total, having officially passed the $1 billion mark last weekend. Expect to see DC’s latest to add between $10 and $13 million to its domestic box office total over the holiday weekend. Rounding out the top five should be A Dog’s Way Home. The sequel has taken a critical beating, but people like dogs enough for this movie to keep the money coming in, as it should make between $7 and $8 million in its second frame. Spider-Man: Into the Spider-Verse will also continue its impressive run, bringing in another $6 million or so. Also worth watching; Dragon Ball Super: Broly arrived on Wednesday with special screenings across the country being held throughout the weekend and, so far, it’s been doing quite well, opening with $7 million. But its take is expected to be very front-loaded. Be sure to check out our full list of weekend box office predictions and check back with us on Sunday for the weekend estimates. These numbers were provided by Box Office Mojo.